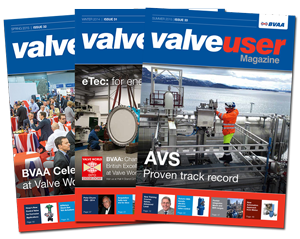 AVA will exhibit as part of the Allvalves and BVAA joint group stand at Valve World at the end of November 2018. 2018 AVActuators will be joining BVAA member Allvalves Online, for this year�s Valve World show in Dusseldorf. AVA has been working with Allvalves since 2016 and through its range of electric actuators, has solved many problems for its customers. AVA will be using the show in Germany to showcase its latest products and will once again be looking for new partners around the globe as interest in this range of electric actuators grows. AVA has been working hard on product development and growing its global reach following the show in 2016. AVA is now sold in various countries all over the world, from distributors in USA, Canada, Norway, Russia, Netherlands and Ireland to OEM accounts in Iceland, USA, UK, Norway, Indonesia, South Korea and contractors/ end users in Australia, New Zealand, Spain, South Africa and Dubai. The product has been used in various applications from waste water treatment, bio energy, HVAC, chemical dosing and most recently in Australia as part of world famous paint manufacturers plant expansion. 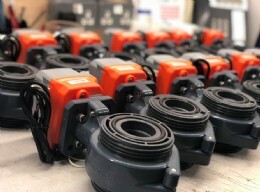 AVA 2019 Hi Speed actuators were supplied to replace pneumatic actuators. 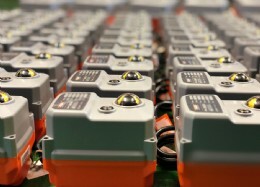 AVA has had a lot of interest in some of its more unique offerings, whilst selling vast quantities of on off actuators through the basic series, a lot of customers are benefiting from the actuators modulating, modulating failsafe and hi speed modulating actuators. 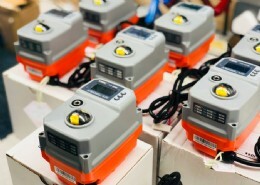 Within the semi-conductor market and chemical dosing, AVA offers a unique solution. With the S2025, a 20Nm Hi Speed 1 second modulating actuator, using its brushless motor and digital encoder, the actuator has phenomenal accuracy, at speed making certain applications, associated with pneumatic actuators and a positioner, now available with electric actuators. Its incredible features, including its compact size but feature rich offering, has attracted some of the leading names in the industry with AVA securing in October 2018, an agreement to work with a leading valve manufacturer for all their electric actuator requirements. This will not only see 1000s of AVA units sold each year but will also see this partner to AVA work to develop the range of actuators for their markets. This will include UL and CSA approvals and also some product customisation. AVA will be using Valve World to launch new products including new AVA- 40 and AVA-80 series which will offer 40 and 80Nm models making the offering more competitive in terms of torque outputs, with the range now offering 20, 40, 60, 80, 110, 200 and 400Nm torque outputs. AVA will also showcase the new 20Nm ATEX approved actuator series and have new versions of the 60110Nm in aluminium housing. Other developments coming in the next 12 months include Bluetooth connectivity, and user based software for diagnostics and product customisation.